Rockbind also have a full range of product resources available through email should you require anything specific. ROCKBIND™’s product RB777 is the modern, coloured safety surfacing solution for use on high friction surfaces as required in the NZTA P33 draft and the P25 legislation. Rockbind's RB777 is also suitable for commercial non-slip safety surfacing and pedestrian demarcation requirements. Rockbind's RBD product is the solution where a non-slip safety surface is required, RBD is 1mm coloured bauxite. Rockbind provides an aggressive 1-3mm non-skid safety surface for Roading applications in 0.5-1.5mm and 3mm Calcite Bauxite and 3mm Greywacke Aggregate as a non slip safety surface solution for pedestrian areas and applications with high traffic. Rockbind RBS Concrete Sealer is a high quality commercial grade Concrete Sealer. Ideal applications include garages, driveways, paths and outdoor areas. A high quality finish is achieved which will assist in protecting your concrete surface. Easy to apply using standard paint equipment eg rollers etc with 1 coat normally sufficient, 2nd coat can be easily applied on porous surfaces, achieving a semi gloss quality finish. -Commercial grade sealer ideal as Concrete, Aggregate & Masonry Sealer. -Rockbind RBS Concrete Sealer can be used in residential, commercial and industrial concrete applications. -Coverage 7-8 Sqm per Litre. -Rockbind RBS Concrete Sealer is available in 20ltr jerry cans & 200ltr drums. -View the "Rockbind C-Etch Concrete Cleaner" should concrete solution be require for cleaning prior to applying Rockbind RBS Concrete Sealer. or in single roll orders at a slightly higher cost. 100mm Yellow rolls also available on order. For control of nuisance dust in the workplace. Dust-Binda has been developed in New Zealand for New Zealand conditions with the environment in mind. Simply add water, stir and spray to control dust on your construction site. Historically, Organic Petroleum Products (OPP) has been used. With increasing awareness of environmental issues related to OPP’s, a range of other chemical and natural compounds have been trialled worldwide with varying degrees of success depending on the type of dust fines, application method and prevailing climatic conditions. Organic polymer dispersions have been extensively tested, primarily by the US Military and Dept. of Forestry, and have been found to be one of the best all round dust palliatives available. Armaseal is a rapid setting water based polymer bitumen compound to seal and rejuvenate aged asphalt and macadam surfaces. Typical applications include carriageways, car parks, cycle paths and footways. Armaseal seals fine cracks and voids in the surface course, preventing the ingress of water and fretting of the surface. 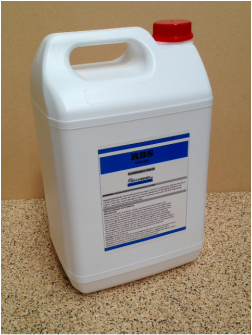 Rockbind C-Etch Concrete Cleaner is a commercial grade concrete cleaner, easy to use achieving great results. Simply apply using a brush, broom or corrosive resistant spray bottle. Alternatively the area can be flooded with C-Etch Concrete Cleaner. For undiluted concentrate applications C-Etch can be left on for a maximum of 20 minutes. Some light scrubbing may be required depending on build-up. Then rinse off with clean water. If further cleaning is required then the process can be repeated. -Rockbind C-Etch is available in 20 litre and bulk 200 litre drums. -Ideal for interior and exterior concrete surfaces. -For best results use undiluted. -For lighter cleaning dilute to 20-30 parts water to 1 part Rockbind C-Etch. Probit Coldpave is a combination of bitumen emulsion and fine aggregates offering a ready to use, high quality economic slurry seal which has been formulated for hand applications. It is ideally used to seal all lightly trafficked bituminous surfaces which are beginning to fret and will seal, protect and prolong the life of bituminous and concrete surfaces whilst also improving skid resistance and enhancing the general surface appearance. footways, driveways, tennis courts, cycle tracks, car parks, play areas, central reservations, pre patching prior to surface dressing and for sealing of re-instatement patches and trenches. Probit Temperate Bridge Jointing Binder and Probit Tropical Bridge Jointing Binder from Jobling Purser are polymer modified bituminous binders which when used with suitable graded aggregates can form an asphaltic plug joint. The individual technical data sheets give clear guidance on the ambient temperature range both the Temperate and Tropical grades of Bridge Joint Binder have been designed for. 14/20mm sized aggregate is recommended for standard joints however a smaller 8/14mm may be specified for shallow joints. The use of these sized aggregate allows for a high binder content and a constant ratio of binder to stone allowing for maximum flexibility and load bearing characteristics. The overall mix ratio for the joint is approximately 40% by volume binder to 60% by volume aggregate.